Creating Memories & One-of-a-Kind Adventures! While school ends for the summer, your job most likely does not, and now you may be finding yourself scrambling to find reliable, affordable, and fun childcare for your children. Kellie’s Academy for Kids not only offers school programs, but summer camps, as well! 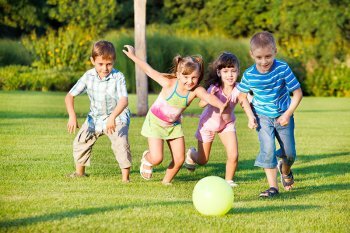 Depending on the age of your child, we can offer various types of summer activities and childcare that appeal to their age range. Every week has a different theme and we offer both part and full-time summer programs for school-aged children. Snacks are provided, and all children are supervised at all times. Separate classrooms are used for younger and older kids, so they each have their own age-appropriate activities. While on campus, there is a 1-to-14 ratio, and while on field trips, there is a 1-to-7 ration. For activities that are water-related, the ratio is 1-to-6. Call our Huntington Beach child care facility today at (714) 377-0533 to enroll your child in one of our summer programs!